Planning on the Venus transit was a major disappointment when we weren’t sure if it was either or a go or not. The initial weather forecasts and satellite images showed increasingly chances of precipitation and thick coverage of clouds. Thus, we didn’t have any expectations and didn’t get overly overexcited just yet. We simply didn’t hope in anything at all. Arne and Rolf dropped by my house and worked together mounting new solar filters to our telescopes. We used Müllar-filter, which blocks visual light to a very high extend. Once we left my place around 3:30 AM we had a 1½ hour by car to northern part of Skåne where we would meet the rest of the Aquila Astronomy club members. Once we arrived approximately at 5:00 AM, the sun raised since long time ago and the transit was already on-going. We rushed quickly out of the car, equipped with just with my Megrez 72, my Canon EOS 50D DSLR camera and an ordinary tripod. 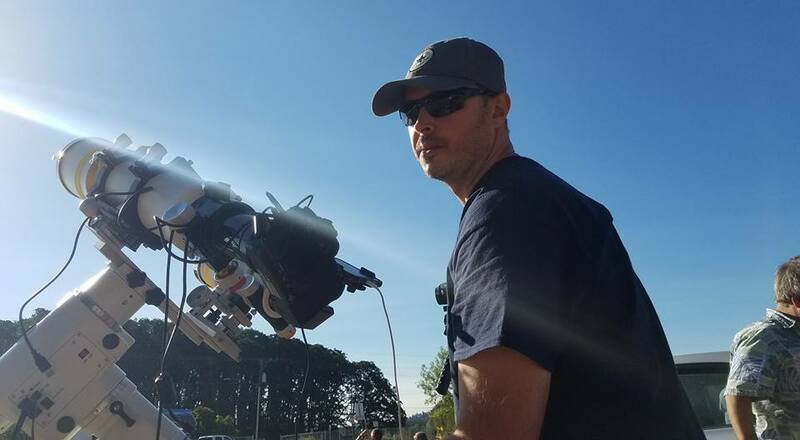 Everything was installed quickly away from the crowd that was looking fascinated by the spectacle through their own telescopes. There was no rain and the sun was heating our faces. It was truly beautiful with just a few small clouds positioned very low along the horizon but yet close by the sunrise, but for the most part, it was a clear light blue sky with a barely noticeable light breeze from the sea. As I looked through my ocular I was amazed to see Venus devotedly followed her orbit around of our beautiful star. I was captured by an amazing and indescribable feeling of fascination and excitement. You could really sense the slow motion of the planet, moving quietly across the sun disc like a faithful partner around it’s bright majestic star. This was one of my best observations so far. I need to top that by observing a total solar eclipse in the future! 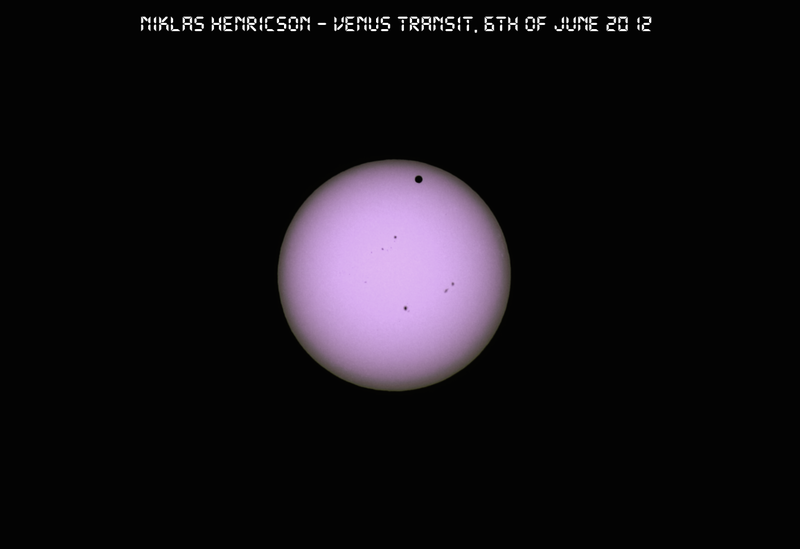 This entry was posted in Astrophotography and tagged 2012, Aquila Astronomy, Astronomy, Niklas Henricson, Planet, Skåne, Sun, Sunspots, Venus, Venus Transit.